Story update: ESPN issued a statement which said "HIPAA does not apply to news organizations," according to CNN. Meanwhile, the hospital that treated JPP is launching an "aggressive internal investigation" to find out if a staffer leaked the image, per TMZ. New York Giants defensive end Jason Pierre-Paul suffered hand injuries during a 4th of July fireworks accident last weekend that resulted in his right index finger being amputated. Adam Schefter's reporting on the incident has arguably drawn more buzz than JPP's amputation. Schefter tweeted a photo of JPP's medical chart Wednesday evening, instantly causing a big reaction on social media. Within minutes, #HIPAA (in reference to the Health Insurance Portability and Accountability Act) was trending on Twitter. Current and former NFL players quickly chimed in. How does ESPN obtain and leak the pics of JPP medial charts? Is that even legal? Couldn't ESPN be culpable for releasing JPP medical records. Hope ESPN in counsel signed off on this. 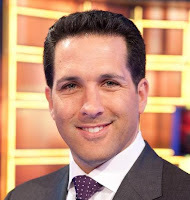 This could get ugly.
.@AdamSchefter You're a real piece of sh*t for putting that picture up! But experts say unless Schefter stole the documents (unlikely), he is not legally in the wrong. Whoever provided the information, however, could be subject to fines and lawsuits. HIPAA doesn't apply to media who obtain medical records of others. Invasion of privacy does, but 1st Amendment offers a good legal defense. People: stop blaming ESPN on JPP records release. Not their fault. That's good reporting. Whoever leaked that is in the wrong, not ESPN. If a medical provider leaked JPP medical information, that's a big HIPAA violation. Media like @AdamSchefter are not subject to those laws. Pro Football Talk's Mike Florio reported that "it’s likely that legal action will be taken against the person who leaked the document to ESPN." Schefter is not legally in the wrong, but many believe his reporting was unethical. For those asking, I wouldn't have posted that medical record without a signed release from JPP. There's nothing to gain from posting it. What does Schefter gain by posting the picture rather than just reporting it straight? And not jeopardizing his source's job? Violation of HIPAA or not, @AdamSchefter and @ESPN breached an ethical code and coaxed a stupid hospital employee to risk their career. Neither Schefter nor ESPN have commented on the situation. If you were in Schefter's situation, would you have published the medical records? Share your thoughts in the comments below!